A young man living out his dream earned through hard work, dedication, and passion. That is the story of ADVNC SF 2019 Goalie, Cody Wiebe. 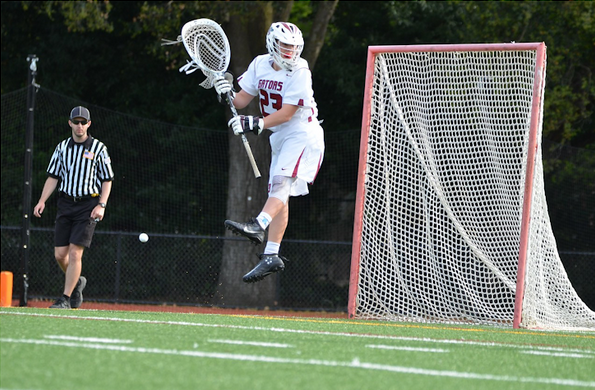 Cody is the starting goalie on both his ADVNC team as well as his Sacred Heart Prep high school team. A standout player on the field, he is also a very high achiever in the classroom. Cody is committed to play at Tufts University next year after being sought after by some of the most elite universities in America. It hasn’t always come easy for Cody. Heading into his freshman season at Sacred Heart Prep in Atherton, Head Coach and ADVNC Founder & CEO Chris Rotelli told Cody he needed to get himself in better shape. Cody went to work. He says, “What I had to learn to become a starter as a freshman are some of the most valuable lessons in my life. I started waking up at 5:30am every day to jump rope. Then I went to school. Lifted weights after school. Then would go home, eat dinner, and study. Then went running every night. I learned how I had to work for what I want.” Cody earned the starting goalie spot as a freshman and has held it as he heads into his upcoming senior season.